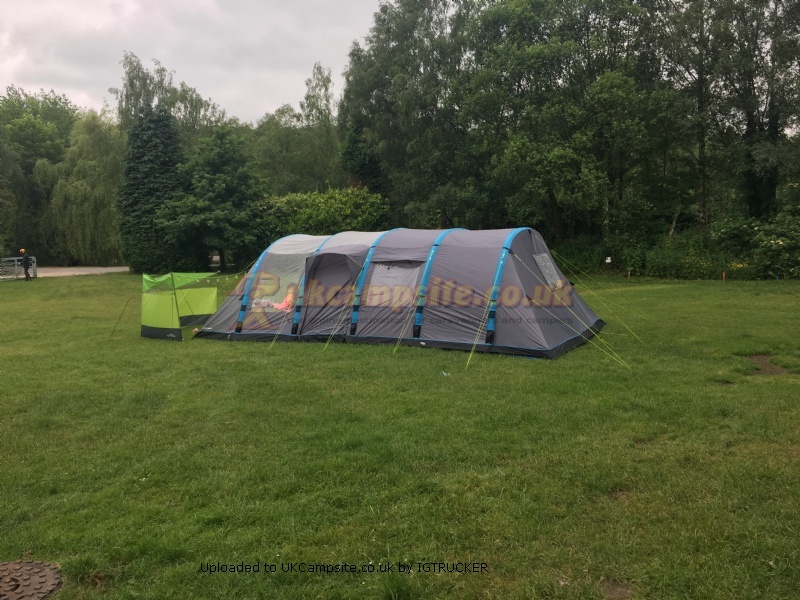 This is our first tent so haven't really got anything to compare it too but we found it to be a great family tent with plenty of room for a family of two adults and three children (7,8 and 1). We also had very windy weather overnight on one of our trips but the tent stood strong whilst some of the pole tents around us collapsed. The only downside we could find was that the light hook was right in front of the bedroom pods which wasn't ideal. 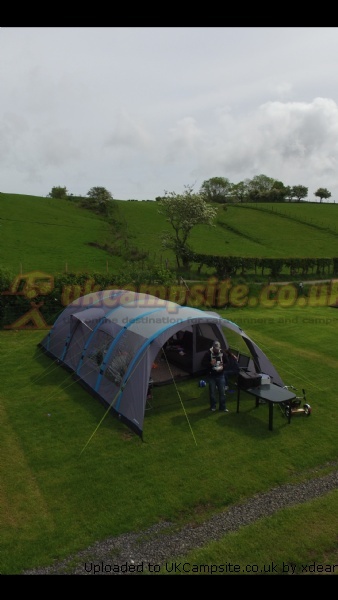 Nice size family tent, plenty of room inside to have table and chairs if weather bad outside. Front proch is great offering good shelter for cooking and sitting out side whilst still sheltered. Pitching on my own was easy, pegged 4 corners and used an electric pump (Sevylor 15 PSI 12 Volt Electric Tent, Awning & Kayak Pump) just set to required pressure and as the pump inflated the beam I was able to do other tasks as once it reaches the required pressure the pump cuts out. So pitching took me about 7 to 10 minutes, then just pegged out rest of tent. The front ventilation (full length above door) has no flap or cover, so when wind blows towards front you can really feel it in tent. Side ventilation vents don't close very well and you can feel wind blowing through them. Light hanging point is against bedroom, I have to move the zips on the centre beam to the middle and attach light from that. Due to them issues I have only scored this a 7/10. Huge floor space, very roomy but easily warmed in a couple of minutes with a small blow heater. Goes up in about 10mins with 2 people working together, might get quicker with practise. Built in inner skin, keeps the crawlers out. Good spacing between the tent and the inner bedroom skin. Light and airy, plenty of large windows and ventilation spots. Strong and visible guidelines strengthening the tent. Stood up to some strong winds, the tent itself barely moved unlike pole tents around us. Canopy/porch section is great for keeping your cooking equipment set up in and keeping stoves out of the tent. Fly screens on the 2 side entrances and the bedroom windows feel like good quality and do the job well. Bedroom ventilation flap could have had some more funding given the price of the tent. 3 tiny velcro tabs were not enough to tack down the window in strong winds so we had a very sleepless night due to the flapping. No light/lantern hook up in the centre of the main living area, its directly above the front of the bedroom skin meaning it sits against the canvas which could be damaged due to lamp heat so we wont use it. Side entrances are at an angle so you struggle to zip open the doors and have to stand inside the tent while hanging on the outside in order to reach the zip. 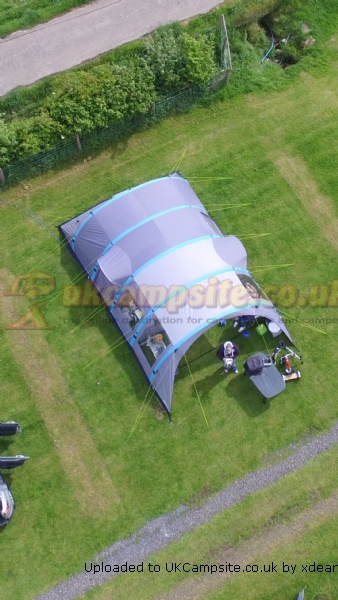 Its because of these 3 not so good points that I cant give this tent 10/10 but I do still love it and would recommend it if you can work around the niggles. 2 from 3 people found this review helpful, was it helpful to you? Add your review of the Airgo Solus Horizon 6! 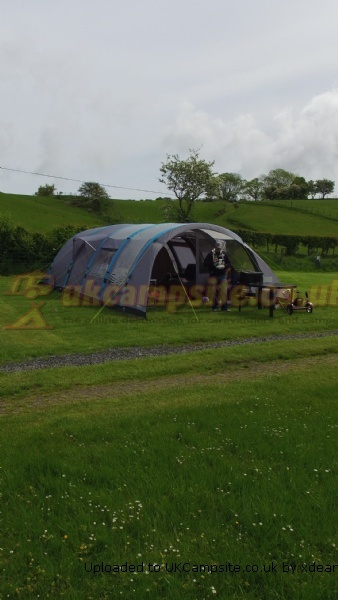 The Airgo Solus Horizon 6 Tent has a simple, spacious tunnel layout with a bedroom, a large living area, big windows to give it a roomy feel and let light in, and a sheltered front porch/entrance area that''s ideal for storing gear or lounging in a recliner. 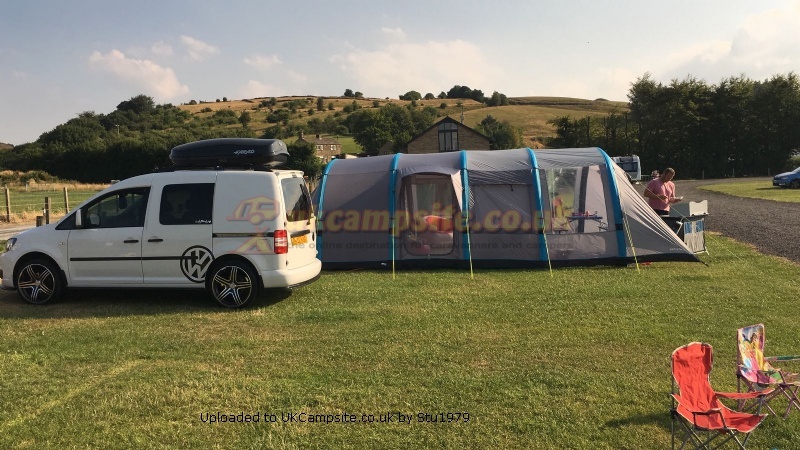 Pre-attached luminous guylines help you to keep the tent stable in windy conditions, and are easily visible in low light (especially on a crowded campsite). There are additions to the Horizon 6 available, to make your camp even more comfortable. The Horizon 6 Carpet makes it feel more homely by adding underfoot softness and warmth, and the Horizon 6 Footprint will insulate and protect the floor (and make pitching the tent even easier).